You CAN have more of a life you’ll LOVE LIVING! Join the Victorious Woman Community! Happy Hour on the Radio! We all have good intentions when we set a goal. But, as the saying goes, the road to hell is paved with good intentions. That’s why, especially in a do-over, you need someone who will hold you accountable to your commitments. A coach is a good choice. There are different kinds of coaches. If you want to meet someone new, you can find a relationship coach. If you want to change your lifestyle, do something new or achieve a specific goal, find a life coach. Whatever change you want to make, a coach will help you do it. Most coaches will do a baseline meeting to determine if you are a good match. Those first meetings are usually at no charge but the coach will talk about how much, how often, what you expect from the coach and what the coach expects from you. If the cost is too much, or if you really just need to be accountable, find an accountability partner. S/he is someone you meet with regularly. You might meet weekly, every other week on just once a month. When you meet, you and your partner talk about what you’ve done since the last time you talked and what you are committing to do by the next time. If you can find someone who is also working on a goal, the two of you can help each other. Or you can have a group of people who are all working on goals. 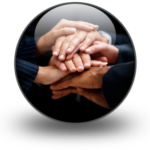 As a group, you figure out the time, the frequency, the location and establish rules that you all agree to for participating in the group. 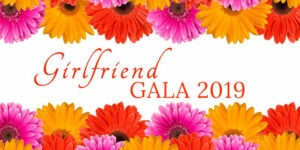 At the Victorious Woman Project, we have “Victory Teams” of as many as six people. The members help and challenge each other to their next victories. Most Victory Teams last anywhere from six months to a year. That’s pretty common for accountability teams. 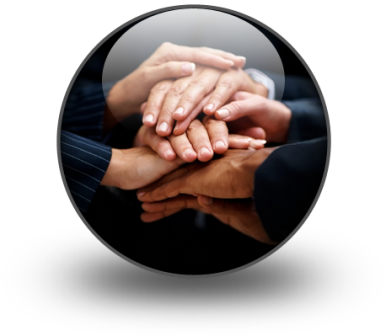 To get started, find one person who is interested in making some personal or professional change. Establish your ground rules and get started – you’ll be amazed at what you get done! Did you like this tip? Then you'll love Victory by Design! 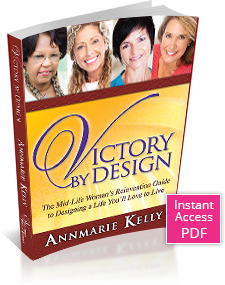 Victory By Design offers step-by-Step instructions for you empty nesters and midlife women who are ready for a change to something better – to a life you love living. Victory by Design gets you out of your boring comfort zone and skyrockets you though your personal glass ceiling so you can experience the personal power that is that greater, even more fabulous expression of the real you. Easy step-by-step instructions to start changing your life RIGHT NOW! Real life examples provide inspiration and motivation! Listen to "Victory Chicks Radio w Annmarie Kelly" on Spreaker. Connect with like minded women. "Thank you! I needed a step up and was looking for ideas." "Excellent content and good stories to drive the points home." "This will make a difference in my life." "The content was powerful and made me really think about how to take charge of myself." 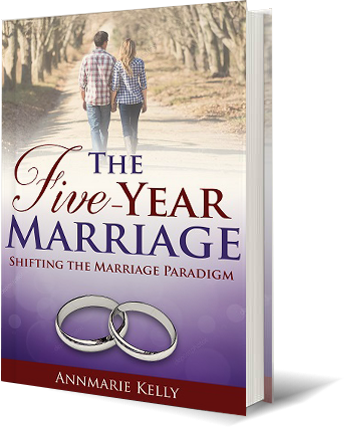 If you are thinking about marriage, and aren’t sure about the “forever” or “til death do us part” aspects of traditional marriage, then this book is for you. Learn more.